I've been waiting to do a little postaroo on this season of the Bachelorette because honestly, I have too many thoughts. I have to wait until there are only a few people left. You're welcome. I love her. More than is healthy. As for the men, where do I start? Here's who's left and my thoughts.. I think he's a major frontrunner, my current pick for the last man standing. He seems nice and genuinely interested in her happiness. No complaints here (a very rare thing). I don't think he's her soulmate. She seems pretty smitten with him though. She called him out as one of the cutest on the very first night. I think he's sweet, but a little awkward... and not a Southerner, which is something I think she needs. I'm not into him. I think he comes in too hot with the "I'm a mature single father" shtick. His only defense is that he has big muscles and a kid. Kind of a big dumb animal I think. Swoon city. He's by far my favorite, but I don't think her perfect match. He's too hipster and awesome for her. He has too good of taste and is way too good of a skateboarder. Again... swoon city. Boring. Nothing to say except, what in the hell is a "Data Deconstruction Specialist"? He is cute though. Cute. Nice. Her friends loved him. A Texan. I'm rooting for this one. This season has been packed with twists. Last night she sent home 2 people and then just opted out of a rose ceremony altogether. Cah-RAZY! I'm freaking psyched for more. Next week they'll be in Prague! What are you internet friends thinking of the season so far? 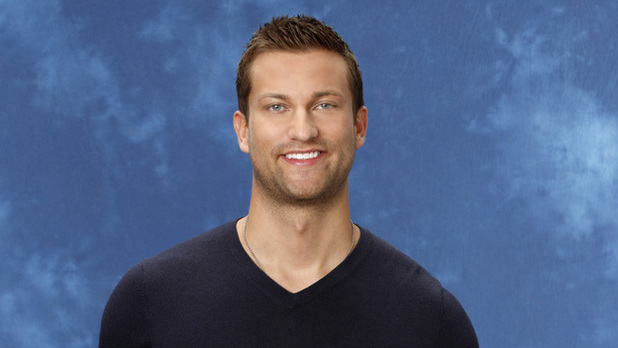 Tell me you aren't above the Bachelorette? If you're reading this blog, I know you aren't. I like Arie and Sean for the final two. I'm curios to see the details of the Arie situation from last night's previews. Chris looks like a bobble head to me, esp last night when he had his alone time with her. If you go back and look at it, he seriously bobbles his head around like it's loose on his neck. LOVE Jef, but agree that he and Emily are an unlikely pair. And I think Arie and Sean will be in the final two also. Doug tries way too hard to be the "good dude", isn't he the only one who hasn't kissed her yet? I seriously love this season! So, I think you can tell that I'm definitely not above the bachelorette! I have been going crazy trying to figure out what a data reconstruction specialist is too! Haha. Great post - agree with all your comments!